The USA Southern Territorial Band has been closely linked with the history of The Salvation Army in the Southland for eighty-six years. Commencing with the official inauguration of the USA Southern Territory in Atlanta in April 1927, the band has faithfully supported the Army’s territorial congresses, annual commissioning weekends and numerous other special events. A review of the band’s photographs over the years is a reliable “Who’s Who” of prominent Salvationist musicians including many who rose to territorial and national leadership within The Salvation Army. 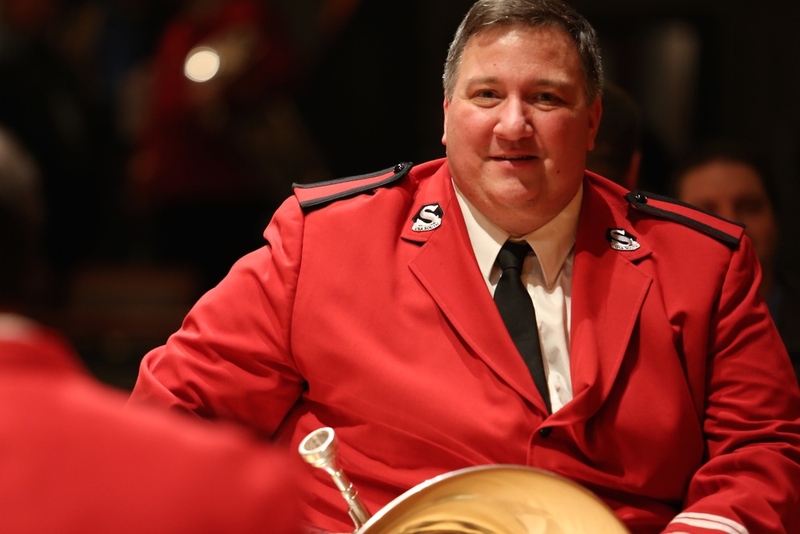 Bandmaster Nick Simmons-Smith (Territorial Music Secretary) began his leadership of the band in January 2009, when he succeeded Dr. Richard Holz, who had served for 30 years in that capacity. The Southern Territorial Band unites a geographically diverse territory made up of 15 states from Florida, north to Maryland and West Virginia, and west to Texas, Arkansas, and Oklahoma. Members, who travel hundreds of miles to meet together for rehearsals and territorial events only three or four times per year, are Salvation Army officers and soldiers currently serving each week as music and arts ministry leaders in their own local Salvation Army churches. A high caliber of musicianship and a strong motivation for an effective music and arts ministry of worship are hallmarks of these men and women. California - Here we come! New recording coming soon... "War and Peace"